More often than not, apartments or condos don't let you cook with live fire, so you’ll need to adapt. With vertical electric smokers, you can smoke your food without making your landlord angry. Vertical electric smokers offer you plenty of advantages. For starters, you can start them up easier than devices that use other fuels. Often, you can get the heat going just by pushing a button or flipping a switch. Also, most vertical electric smokers are compact and easy to clean. Simply wipe them down on the inside and outside and they’re good to go. Of course, smoking enthusiasts always argue that electric smokers don't give you that “authentic” smoked flavor that burning real wood does. For most people, however, they come close enough. 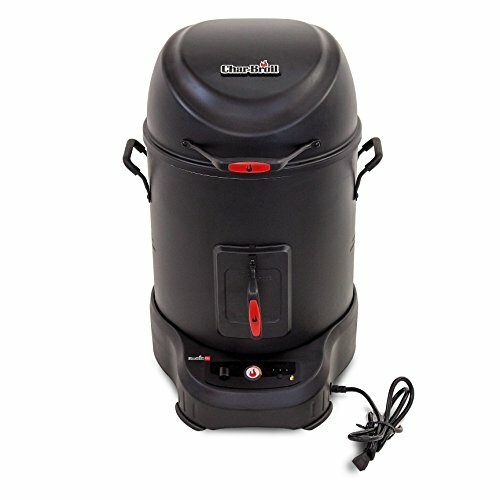 You might invest in a pellet or charcoal smoker when you have more room and time. In the meantime, an electric model can do the job reasonably well. 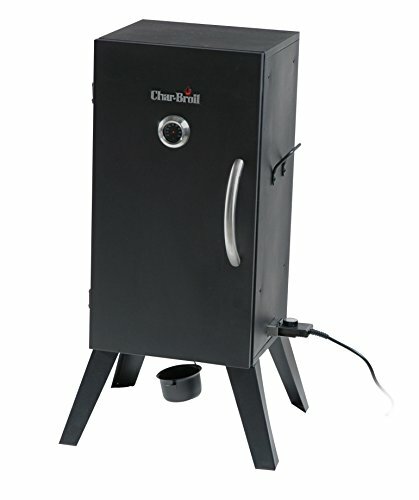 The Char-Broil vertical electric smoker will provide you with an excellent experience regardless of the occasion. Its double-walled steel holds heat in and maintains an even temperature, no matter how hot or cold it gets outside. It gives you 505 square inches of cooking surface spread across 3 chrome cooking grates. The grates are adjustable, so you can move them around and find the best fit for your meats. One common complaint from owners is that the smoker's water pan is way too small. If you find that your food isn't getting the moisture you want, you might need to get a larger one. On the bright side, the temperature gauge on the Char-Broil smoker's lid helps you avoid under-cooking or overcooking your food. Be warned: You might need gloves in order to open and close the chrome-handled lid. The Masterbuilt 20071117 digital electric smoker can give you a more modern, efficient smoking experience. Digital panel controls let you turn the smoker on and off as well as gauge time and temperature. Its integrated thermostat temperature control will ensure that your food is cooked evenly. 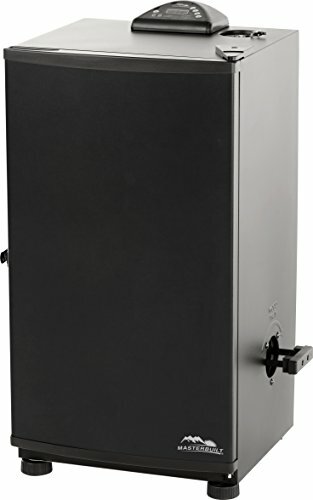 One unique feature of this vertical electric smoker is its patented side wood chip-loading system. 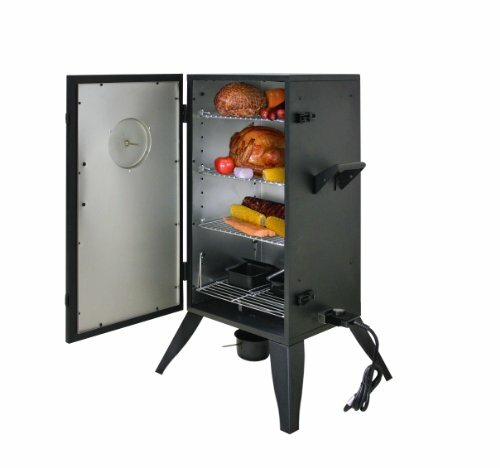 This lets you add wood chips to the smoker for added flavor without opening the smoker door. This feature may not impress people with cabinet smokers, but it comes in handy if you don't have that option. Electric-powered cooking units typically have a problem with heat. Some owners of this Masterbuilt smoker claim that the unit doesn't cook food quickly enough even at 230 degrees Fahrenheit. This could deter potential buyers, but its other features may compensate. 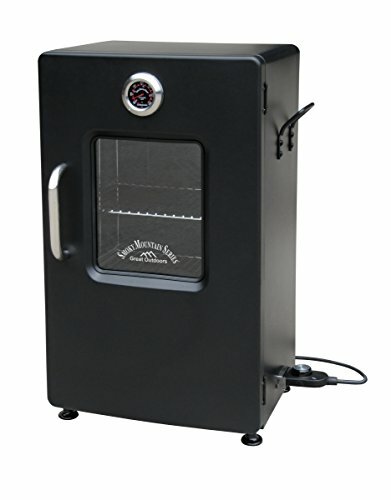 The first thing you’ll notice about the Landmann Smoky Mountain electric smoker is the viewing window right in the middle of the door. Not all smokers let you see what’s going on inside the unit, so this is nice if you want to check the progress of your food. The Landmann Smoky Mountain gives you 442 square inches of cooking area and can fit about 27 burgers at a time. Its adjustable feet and sturdy design let you smoke your food indoors, outdoors and on unstable surfaces. The Smoke Hollow 30162E is perfect if you want something built to last. This vertical electric smoker doesn’t get too complex: It has 2 cooking grids and 3 temperature settings to choose from. It also has a magnetic door-latching system to keep heat from leaking out. The Smoke Hollow can be a good option if you want something portable. Its 2 side handles make it easy to pick up. Keep in mind, however, that the smoker's heavier than it looks–it's made with heavy duty steel. The smoker's wire handle will help protect your hands from getting burned. Still, you should probably wear gloves or pot holders at first. Electric smokers don't get too hot, but 200 degrees Fahrenheit feels plenty warm when you touch it with your bare hand. The Char-Broil SmartChef electric smoker offers a more technologically advanced approach to smoking foods. It allows you to monitor the internal meat temperature, chamber temperature and cook time via a mobile app. This is a major benefit if you don’t feel like sitting or standing next to the smoker all day. An external smoke box lets you add wood chips for extra flavor without losing heat. If you want to cook something like a full-sized turkey, the SmartChef clearly won't work. The smoker's limited cooking space is probably its biggest drawback. Still, the SmartChef has capabilities that go far beyond the average vertical electric smoker. To find the best vertical electric smoker for you, you need to think about a few things. First, think about your cooking area. How much room do you have at your house/apartment? Factor in how much space you have and which outlets are nearby. One great thing about electric smokers is their low prices. For example, the Char-Broil and the Landmann Smoky Mountain are particularly budget-friendly: You can find either of these brand new for a little over $100. If you don't have much money to work with, these units will give you plenty of bang for your buck. Another thing to think about is durability. You don't want to pay good money for something that you'll just need to replace in a few months. Smokers made with steel are preferable, since they can hold more heat inside. You'll be to smoke more food for longer. Vertical electric smokers have some distinct pros and cons. The biggest con is temperature: Electric smokers just can't produce as much heat as charcoal and pellet smokers do. 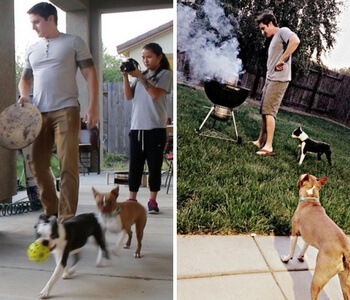 When you're cooking meat, you'll need to wait longer. There's no way around it. On the other hand, electric smokers are quite user-friendly. You can just plug them into a power source and start cooking. Some units have a wood chip box to help you get that delicious smoky flavor without burning your hand on the lid handle. Depending on where you want to smoke your food, electric smokers can be very convenient. Most of them are easy to carry (the ones made with high-quality steel will just be a little heavier). They're great if you plan to do some cooking at a friend's house. If you're planning a picnic, however, you might want something that doesn't require an outlet. Otherwise, you'll probably need to invest in some extension cords. Admittedly, the flavor that you get from electric smokers isn't always as “authentic” as what you get from charcoal or wood pellets. Obviously, it's much easier to get that smoky taste when you're actually burning something. Still, some electric smokers have features to help you get the taste you want without setting off fire alarms or smoke detectors.